RAINBOW LAWNS IRRIGATION SYSTEMS, INC.
Rainbow Lawns is an organized and ethical small business providing customer satisfaction through high quality landscape irrigation products and services. We design and install low maintenance sprinkler systems that are easy to operate and service. Rainbow Lawns is dedicated to providing fast friendly service to ensure your landscape has the water it needs to stay healthy. 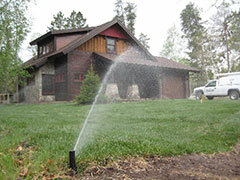 We are your sprinkler system specialists in the Brainerd Lakes and Walker areas. 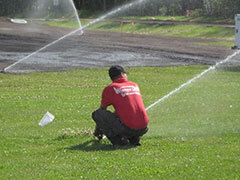 Rainbow Lawns provides Sprinkler System Installation & Maintenance Services for Cass and Crow Wing Counties. Cities include but not limited to Brainerd, Baxter, Pillager, East Gull Lake, Lake Shore, Nisswa, Pequot Lakes, Breezy Point, Ideal Corners, Crosslake, Merrifield, Fifty Lakes, Emily, Outing, Pine River, Backus, Hackensack, Walker, Akeley, and Longville.